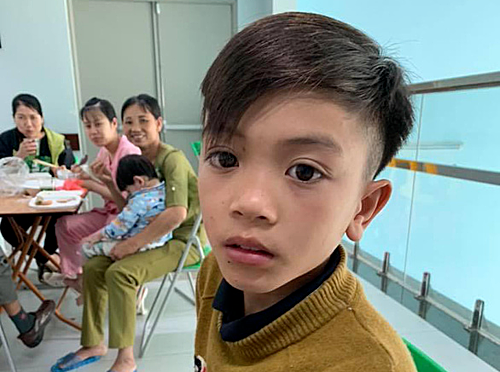 Without a map or knowing the route beforehand, a 13-year-old boy has cycled from Son La to Hanoi to visit his hospitalized brother. 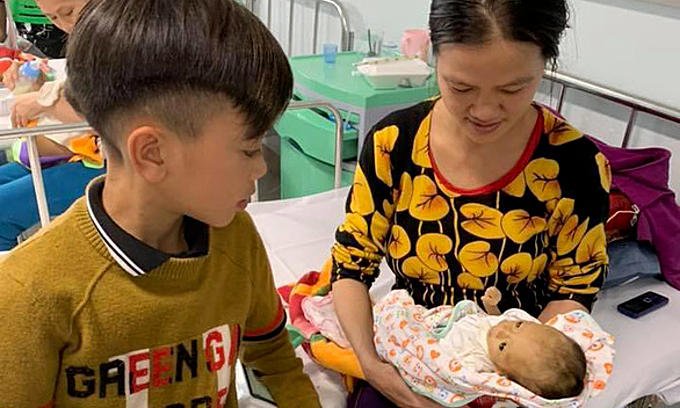 Vi Quyet Chien of Van Ho District in Son La, a province in Vietnam’s northern mountains, returned home from school on Monday afternoon and learned from his grandfather that his two-month-old youngest brother was admitted in a hospital in Hanoi 175 kilometers (109 miles) away. 13-year-old Vi Quyet Chien at the Vietnam National Children’s Hospital in Hanoi. Photos from Facebook’s page of the doctor treating his youngest brother. The grandfather said Chien lay on a couch and cried when he got the news. He decided to ride all the way to Hanoi on his small bicycle to check on the child. He did not tell anyone about the plan and chose a different route to get out of the village to avoid being seen by his neighbors. The boy had no idea where Hanoi was or how to go there, so he followed the national highway and asked people he met along the way. Since the bicycle’s brakes were broken, he had to use his feet to stop in some downhill sections. He did not have anything with him, not even water or food or money. When he reached Hoa Binh Province halfway between Son La and Hanoi, he was exhausted and lay down on the road with his bicycle. Lucky, the crew of a passenger bus going to Hanoi noticed him, got him food and gave him a ride to the city. “The road was long and tough, and it was hot but when I thought of my brother and my parents, I just kept cycling,” Chien said. The crew and doctors estimated he had cycled around 103 kilometers. His calves were swollen and his slippers were ruined. “It was way too dangerous but I admire the little boy,” the doctor treating Chien’s brother told local media. Vi Quyet Chien sits by his mother and youngest brother at Vietnam National Children’s Hospital in Hanoi. Chien’s father took him back home by bus, with tickets bought by the doctor, who also got the boy a new pair of slippers. Born prematurely, the infant weighs only around two kilograms and suffers from pneumonia and cholestasis as well as malnutrition. As the story spread on social media, financial support has been pouring in for Chien and his family. Many praised Chien for his determination and his warm heart but also thought he was lucky to be saved by the drivers and not fall into the clutches of kidnappers. I quietly cried when reading this article because of some reasons. Secondly, there exist many difficult circumstances in my country. However, from time to time, i forget about that and become a heartless person. Thank you for sharing a meaningful article. Tks for sharing, Thiều Linh. I think quite a few people cry when reading this story, not just us. Have a good day, em.